Blackjack Heaven is an online gaming and betting site owned and established by the Gaming Media Group in 2004. Though, it also features other games available in the market. It is duly licensed and registered by the government of Malta. The site uses both the GTECH G2 and Boss Media Poker Ltd. software providers as the site's developers of its games. The site offers different games such as varieties of table and card games, slot games, video pokers, and other specialty games. Blackjack Heaven highlights its wide array of game selections. These include popular game titles such as Super Sevens, European, and Multideck. The site also offers an exclusive monthly offer to its games, which runs every first weekend of the month wherein players get a 5% cashback on all games. 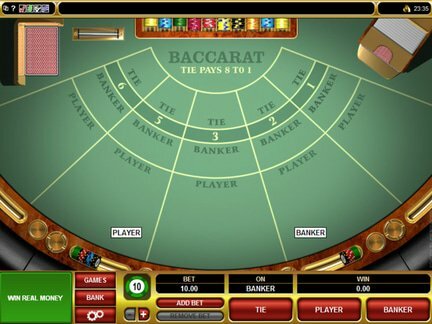 Other table games are also offered by the site which include Showdown Poker, Baccarat, Craps, American and European Roulettes, Fast Poker, Caribbean Poker, Sic Bo, French Roulette, Pai Gow Poker, Racetrack Roulette, and many others. It also features a dozen of theme and storyline based slot machines with game titles like Amber Sky, Bonus Madness, Cool Fruits, Fireburner, Haunted House, Super Seven, Knights of Glory, Lost City, Space Tale, Kangaroo Zoo, Burning Ocean, Match Day, and a lot more. Most of these slot games have progressive jackpots wherein players may win huge amounts of credits. They also offer video poker games like Tens or Better, Joker Poker, Deuces Wild, Jackpot Poker, Jacks or Better, and Bonus Poker; as well as specialty games such as Keno, Showdown Poker, Triple Chance Hi-Lo, 4 Play Hi-Lo, and Money Wheel. The company also offers its players with plentiful bonuses and promotions. The usual 100% welcome credit is given to its new players wherein they can earn as much as $50. This sign-up incentive will be credited upon the player's first deposit. Other bonuses include their weekly promotions. These involve their Manic Monday, Super Slots Bonus Fest every Tuesdays, Wednesday's Casino Angel, and some weekend promotions. These promos are available for all site players. It also has special treats and loyalty rewards for its VIP Club Members which are divided into three categories - the first, second, and third levels. Players reach a certain level based on their monthly wages. First level requires $10,000, $25,000 for the next level, and $75,000 for the last level or their VIP Gold Club membership. VIP Gold Club members receive a $100 reload credit monthly, a 4% bankroll return, and an exclusive account manager, and comp points incentives. So far, the site hasn't received any complaints or issues from their online players. Several online casino review sites have regarded it as one of the best gaming sites offering top-notch gaming experience with impressive rewards and bonuses to its players. With these features, Blackjack Heaven gets a 4 out of 5 rating as gaming site.